My exclusive 10-day trips take place once each year. I keep them small . . . a maximum of 25 guests. We often travel back roads to remote locations meeting one-on-one with both established and rising artists in their homes and studios. 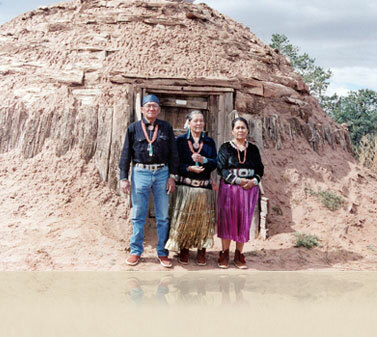 We travel in a small fleet of modern vans driven by a seasoned staff including noted Navajo jeweler Yazzie Johnson and jeweler/historian Robert Bauver. 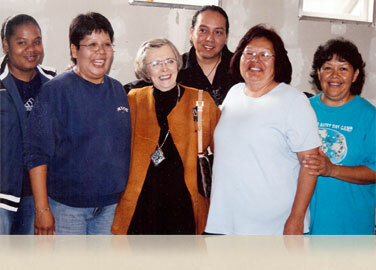 Our group stays in comfortable hotels, and eats in delicious restaurants and sometimes at the homes of Native artists. We’re often accompanied by prominent American Indian art scholars who take us into museum back rooms as well as the homes of prominent private collectors to help us understand the historical background and current developments in this field of art. 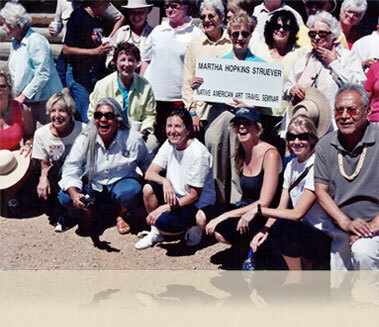 Marti has just announced her 2015 American Indian art trip itinerary.